Students and professionals gathered all over the world Nov. 3 to celebrate the first annual One Health Day, a day to come together and help change the way planetary health challenges are addressed. 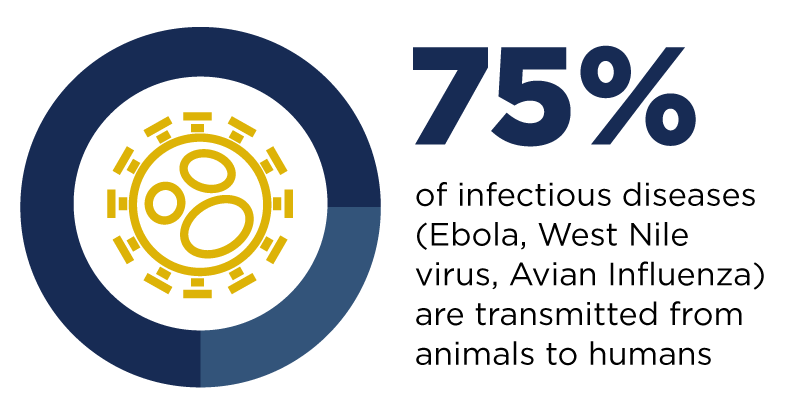 The event, started by the One Health Commission, the One Health Initiative and the One Health Platform, brought together organizations and campuses for presentations and workshops in person, as well as through webinars and social media. At UC Davis, we gathered at the School of Veterinary Medicine to stream global events throughout Thursday. We also held a One Health panel for students the following day and an all-day symposium on Saturday. The festivities were widely documented on social media through #OneHealthDay. We’ve curated some of the activity in the feed below.